Signal is a mobile application that enables you to send encrypted text, image and video-chats in individual or group chat and to make encrypted calls. Anyone who gains access to your messages or your phone line won’t be able to decrypt their content. Encryption occurs with the caller/sender and is only decoded by the recipient. As a result, even the application itself doesn’t have access to the content. Messages are transmitted through the Internet so using Signal doesn’t incur SMS or MMS fees. It is an open source program, therefore there is public control whether eventuel backdoors are incorporated into the program. But there is no guarantee that the actual version of the installed program only contains the source code publicly available. 1. Download it from Google Play: https://play.google.com/store/apps/details?id=org.thoughtcrime.securesms. 1. Download it from iTunes: https://itunes.apple.com/us/app/signal-private-messenger/id874139669. 2. 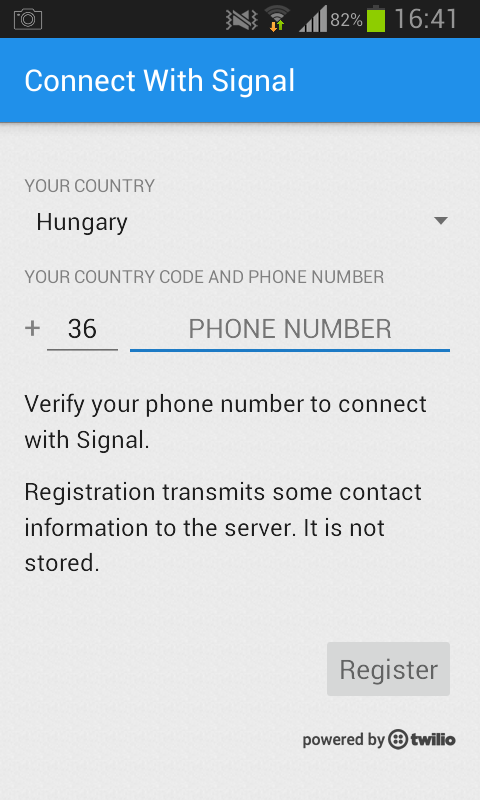 After launching Signal type your phone number and tap „Register” to create your Signal account. 3. Your contact list will soon load. Click the pencil button on Android/”+” sign on iOS to load your contacts who also use Signal. Clicking on these contacts will open the chat window and a telephone sign. You can initiate encrypted chats/calls to Signal users and you can have unencrypted communication with the others. 4. 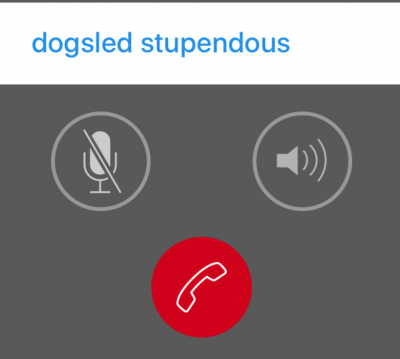 Tap the phone icon to start an encrypted phone call. When the connection is established both parties will see the same random words displayed. This is to verify that the channel is unterrupted and the line is not tapped. Use a different secure channel such as l ChatSecure for verification.